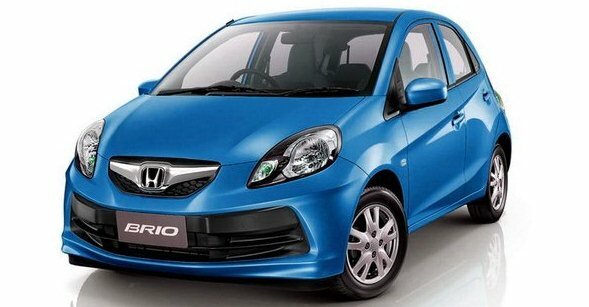 On September 27th, Honda launched the Brio small car with prices starting at Rs. 3.95 lakh. Here are the details about what each variant offers and the prices across 8 cities. The Brio is powered by a 1.2-litre i-vtec petrol engine mated to 5-speed gearbox. The petrol motor produces 87 bhp of max power and 109 Nm of max torque. It is a small car that is as powerful as the Suzuki Swift petrol, and more powerful than most other hatchbacks like the Toyota Liva, Ford Figo, Chevrolet Beat and Skoda Fabia, making it a great option as a fun to drive car for the city. Let’s look at what each variant offers. The base variant E MT of the Brio gets features like body colored bumpers, halogen headlights, front chrome grille, silver steel wheels with centre hub caps and external antenna. On the inside, the Brio E MT gets single tone beige color scheme, 100% foldable rear seat back, sporty amber color illumination. Safety features such as airbags and ABS are absent on the base variant, however. The Brio E MT gets immobilizer, driver seat belt reminder, day/night inside rear view mirror, high mount stop lamp and a full size spare wheel. The mid trim variant S MT of the Brio gets all the features that the base model offers, and additional features like body colored ORVM (outside rear view mirror), body colored outer door handles and full trim wheels. On the inside, the Brio S MT gets integrated audio with AM/FM, MP3, USB with AUX-in, steering mounted audio control switch, front & rear speakers, chrome air vent rings & gear shift ring and silver steering wheel garnish. The Brio S MT gets more convenient features such as keyless entry, rear power windows, front power window auto down, accessory socket, aisle side seat back pocket and aisle side vanity mirror. 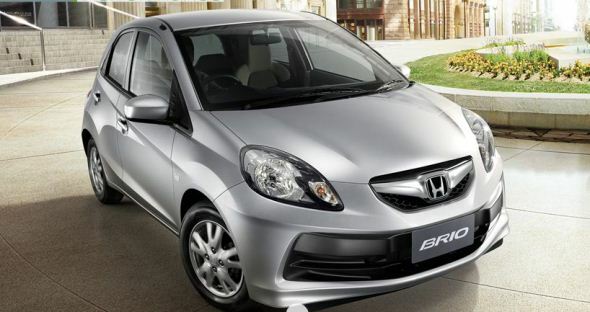 Honda offers the Brio S (O) with all the features of the S MT variant and added safety features consisting of front driver i-SRS and Passenger SRS Airbags, ABS with EBD, Front seat belt pretensioners with load limiter. The S (O) variant is also offered with front/rear mudguards, tilt steering and electrically adjustable ORVM.